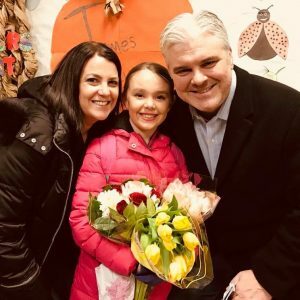 Get To Know Your Neighbor: A Daytime Emmy Nominee Right Here in Cranford! 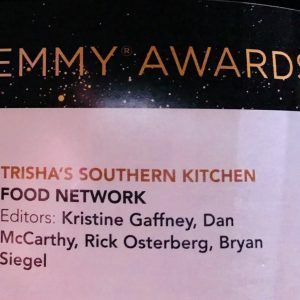 My dear friend and client, Kristine Gaffney, just moved up a step on the awesome ladder when I found out she was nominated for a Daytime Emmy for her quality editing on the Food Network’s Trisha’s Southern Kitchen. 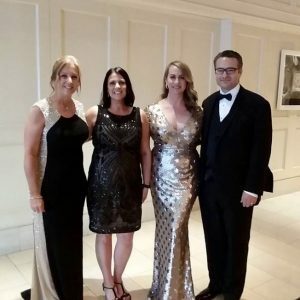 I loved hearing about Kristine’s prep for the big day, how her friends and family celebrated the big event, and what a momentous event this was in her life! 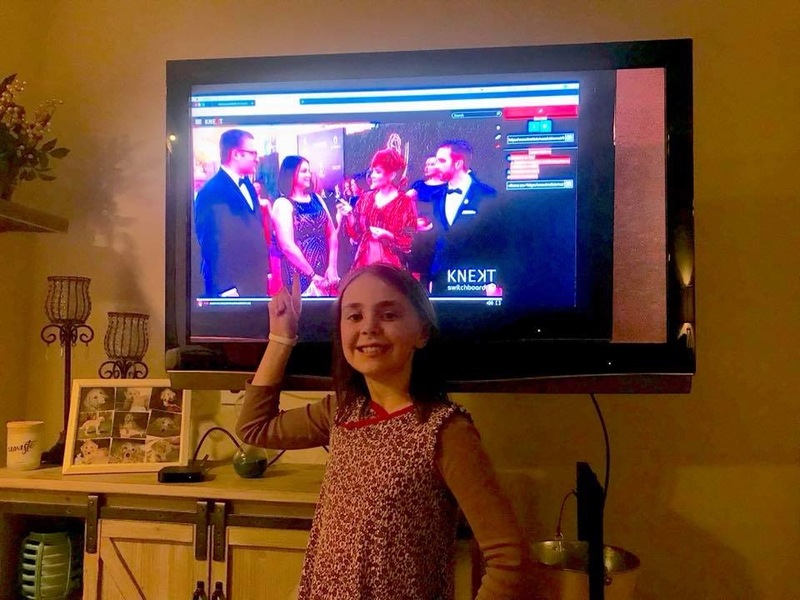 I know how proud her husband Ken and her daughter Kiera are of Kristine… It’s a BIG DEAL to be nominated for an Emmy! And even though Kristine and the crew didn’t take home the win in their category – she is truly a winner in our eyes! What an honor and privilege to have this amazing mother, wife, and star in our little town of Cranford! And just when I thought I knew her so well – I found out some pretty cool things about this chick. Read below! How did you get into TV/Film editing? I started in TV around 1997 (really dating myself now) on a show called “Bug Juice” for the Disney Channel. We shot at a summer camp in Maine and I totally fell in love with the whole process. At the time I was a camera operator, but after moving to LA that same year, I pursued editing and it’s been my life ever since. 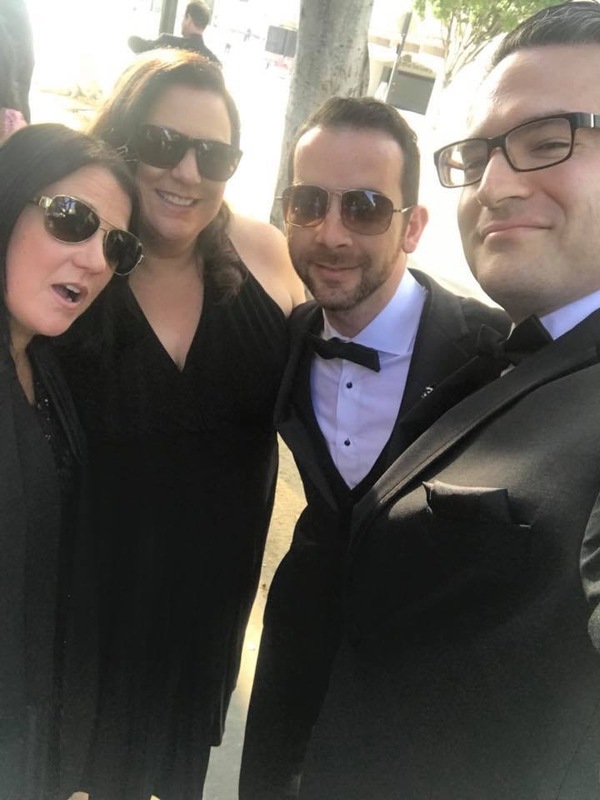 I’ve worked on so many different types of shows – but the ones that I really connected with always involve heavy music editing -such as “Dance Moms”, “Jerseylicious” and currently “Say Yes to the Dress”. Most fun TV show/movie to be on the editing crew? Definitely one of the most fun crews to be on was the “Jackass” crew. We did two seasons of the series for MTV then I edited the “Jackass: The Movie” before moving back to the East Coast. It was a very close-knit group and even though the guys are known to be total “jackasses” they treated the few women on the team with great respect -probably because they knew we would kick their butts otherwise! How did you become a production team member for Trisha’s Southern Kitchen? TSK is produced by a small production company in Montclair called BSTV Entertainment and I was lucky enough to ditch the NYC commute and work there for about 3 years. I started on “The Kitchen” for Food Network with them and when they won the TSK show I moved teams to work on that. Did you get to meet Trisha Yearwood? What’s she like in person? I haven’t met her (yet) but many of my colleagues have and she is very sweet and fun to work with. In the show, Trisha tells stories about her childhood and how her mom used to cook for the family so learning about old Southern recipes and her current love of music was a great project to be part of. What was your favorite episode of the season? The Halloween episode where she dressed up as her husband, Garth Brooks, was hilarious! Feelings when you first found out you were nominated for a Daytime Emmy? Total surprise! I always wanted to “just be nominated” but really never thought it would happen. So, when I got the call on a random snow day in February, it was the furthest thing from my mind and one of the best moments of my career so far! How did you prepare for the Big Event? The biggest question of course was: the dress. Totally not my strong suit! So, I ordered a whole bunch of dresses and my AMAZING friends in Cranford and my mom got together and helped me choose what to wear. Everyone was so supportive and encouraging for this trip, I was blown away. There were a few events to prepare for on this trip and they helped me with all of it! There may have also been a spray tan involved a few days before leaving and of course a hair- cut. 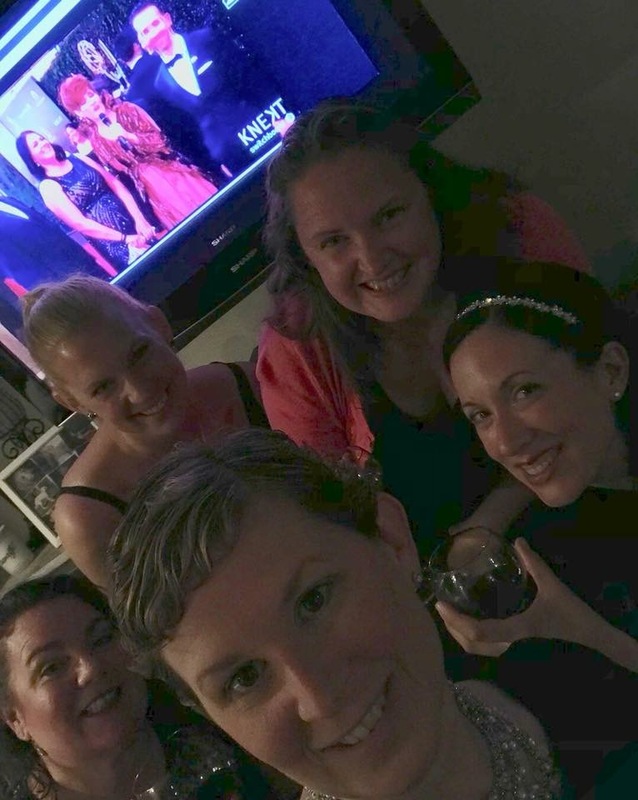 Briefly describe the day of the Emmys for me – from wake up till red carpet time! The day was jam packed with “glam squad goals”! 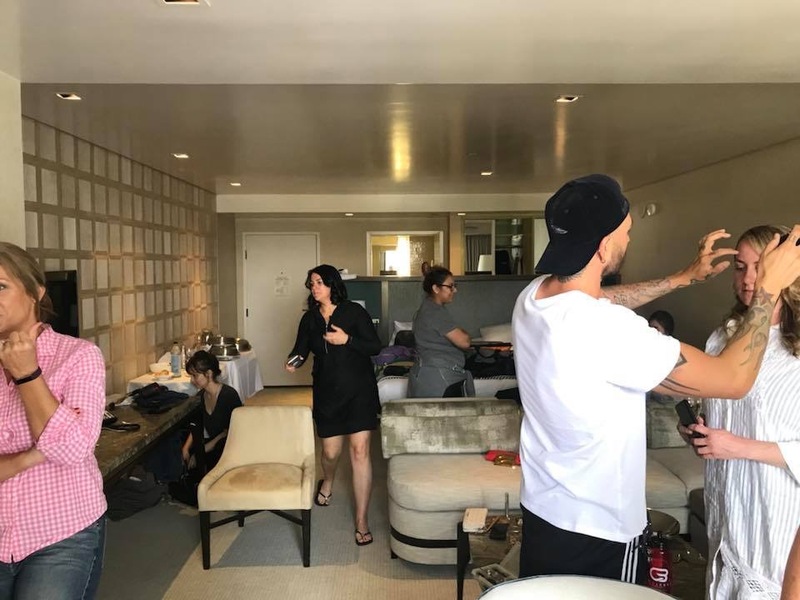 I did a typical LA workout in the morning and green juice, then glam squad in my friend’s hotel room for all the 8 ladies who were attending. We had hair and make-up done by professionals along with mimosas. 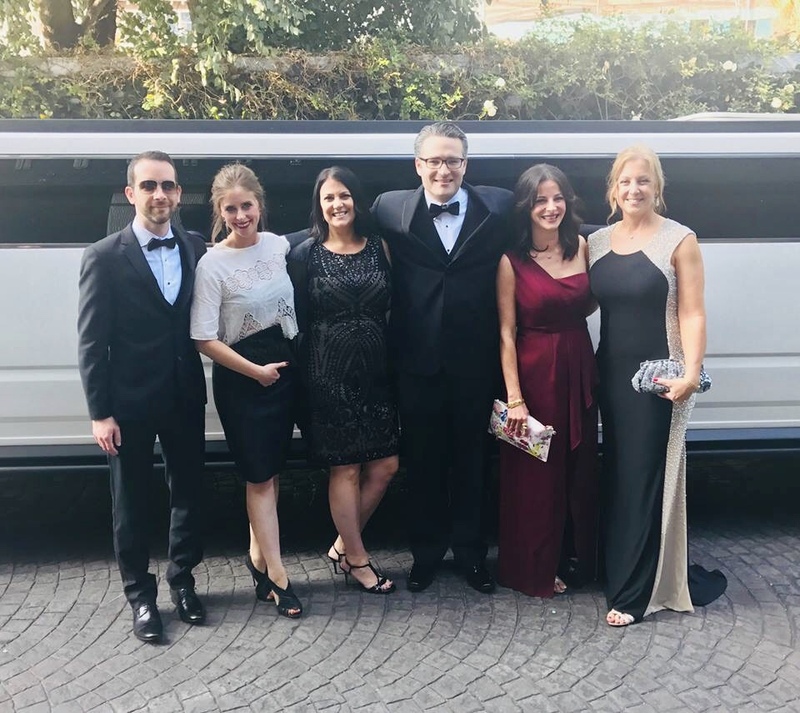 Then we got dressed quickly and went downstairs to meet everyone in the lobby for our fancy ride over in the stretch Hummer limo. Plenty of drinks to be had inside there as well! 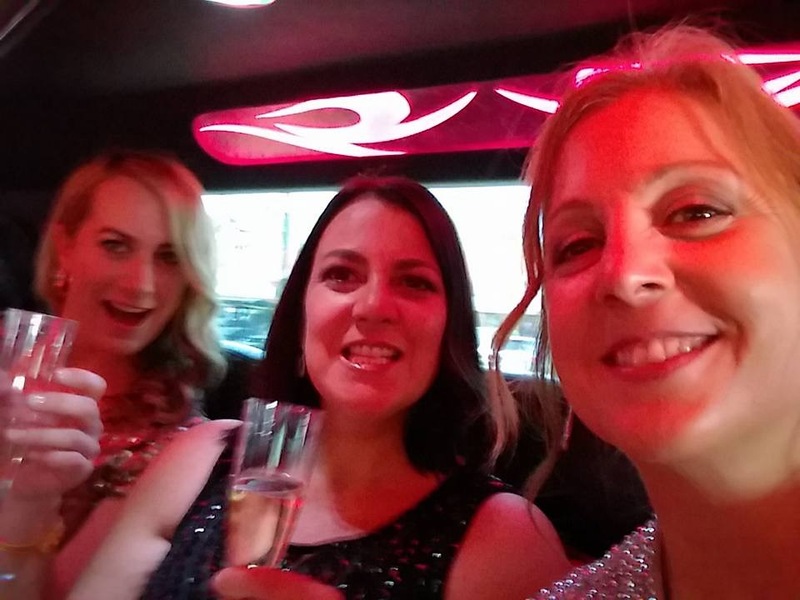 It was so fun to toast everyone and see everyone all dressed to the nines while sitting in LA traffic. And having lived there for many years the drive over brought back lots of memories! How was the wait for the red carpet? The wait on the red carpet was much longer than I anticipated, almost an hour! But they were handing out cocktails and apps as we waited so, other than the heels, it was a fun unique experience! Did you see any celebrities? There were some “daytime celebrities” there such as Curtis Stone, Dr. Oz, several soap stars and Raven – but mostly it was for the creatives that are making these shows behind the scenes. How did you get the chance to be interviewed on the red carpet? 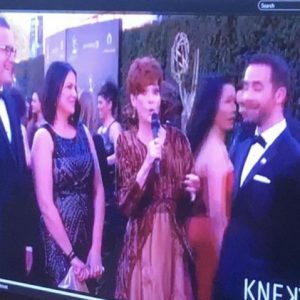 My friends back home were streaming the red-carpet ceremony on their TV, so I had a mission to make sure I met the person they were watching which turned out to be Carolyn Hennesy who is on my daughter’s favorite show “Jessie”. I met her and told her that my daughter is a huge fan, so she looked right into the camera and said “hi” to Kiera! I heard back home it was a great moment for her and her friends! I wasn’t too nervous until we were interviewed since I am used to being behind the camera! And when our category was called I was nervous again, but it was such a great experience overall. Worth the butterflies! What was it like inside the ceremony? The ceremony was pretty quick – people were more interested in networking in the lobby and the open bar! But it was fascinating to see the hundreds of individuals who make these shows happen and hear about their experiences. I was so honored to be part of such a talented group of people. Did you attend any after-parties? 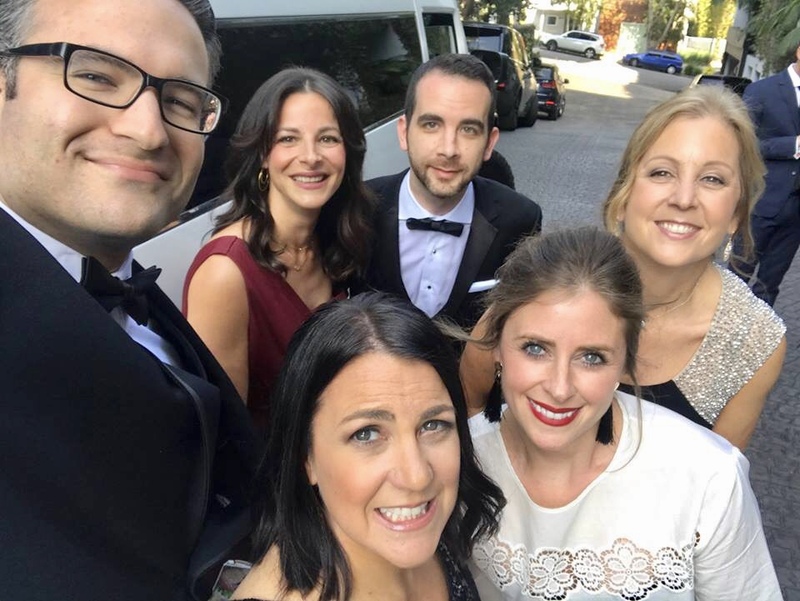 No after-parties this time – but lots of fun dinners and pool cocktail hours in between! What’s your biggest take-away from the event? I think it would have to be that after working in this business for 21 years, hard work really does pay off and if you’re determined and persistent it will get you to the next level. I think of all the college kids that are just entering the work force and that would be the advice I’d give -just stay with it and do your absolute best every day! Who knows if I’ll ever get to go again?? That would be great! But I’m hoping to explore more of what the NYC TV world has to offer and just keep learning and growing in this field!